Is your dream to write a screenplay for a big star and make it big? Good for you! Having a dream is the first and most important step towards turning it into reality. If you want to become the very best screenwriter, you need to attend a screenwriting academic program. These educational courses not only provide you with the most important knowledge, but they also give you the opportunity to meet people that might help you with your career. And what better place to do this than the epicenter of the global movie industry – Asia? Even though schools like USC and UCLA garner the most attention, Asia now boasts some of the best film institutes in the world. Today, we’ve decided to cover four of the best film schools on the Asian continent. Don’t worry about tuition – all four of these schools are affordable film schools for international students that end up find a job right after school. If you think you’re ready to enter the world of screenwriting, continue reading! 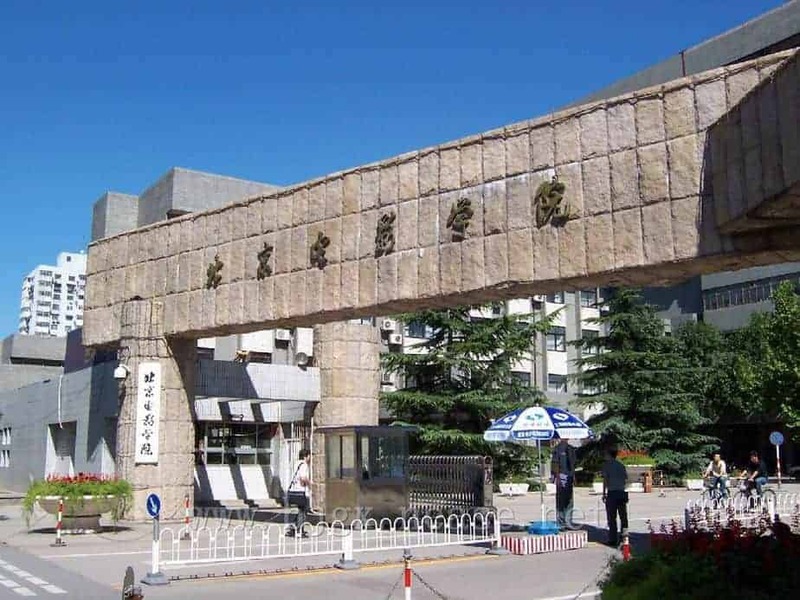 Located in the Haidian District of Beijing, the Beijing Film Academy is the largest and perhaps most famous of all Asian film and television-related institutions. Founded in 1950s, the school is run by the state, but with an approach that is different from what you might expect. You will experience all the cutting-edge teaching methods along with examples and excerpts from modern-day western movies. The Beijing Film Academy is an excellent preparation for directing and screenwriting in praxis. The department you will most likely be interested in is the Department of Screenwriting and Cinema Studies, which ranks amongst the best in the entire world. Although you can get the best education possible, this high ranking of BFA results in some of the lowest admission rates in the entire world. Every year, more than 50.000 students apply from all over the world, but only 500 are accepted. Therefore, we would advise you to have second options in mind because of the fierce competition involved. Over the last 6 decades, many of China’s most famous actors graduated from this prestigious facility. Think of stars like Zhao Wei, Huang Shengyi and Wu Tianming. It’s an enticing opportunity and you should definitely study in one of the best film schools in the entire world. The effort is worth it, trust us. The OUHK is regarded as one of the best options for studying screenwriting in all of Asia. It’s a competitive program that involves extensive testing before you are ready to start your classes. The admission rates are relatively high, but a lot of people are still discouraged by the extensiveness of the admission process. For instance, in one part of the test, you have just 5 hours to write your own play. Afterwards, you have to present the play to the selection committee and answer questions about it. Don’t worry about admission too much. If you study hard and go to classes that prepare you for the screenwriting program at OUHK, passing the entrance exam will be as easy as saying help with difficult assignment. The tests are always the same and you just need to learn the format and to practice writing for long periods of time. According to some former students, you need about 4 months of preparation, at least. The program itself involves a lot of practical work, with a special focus on writing and different exercises that involve creativity. Once you graduate, you won’t just be a good screenwriter. You will have all the knowledge you need about how the cinema business is run and how to succeed. A lot of the world’s most talented directors have graduated from this institution. Do you want to walk the same halls as artists like Shigeo Fukuda and Teshigahara Hiroshi? If so, the Tokyo University of the Arts is one of the best film schools in the world. It’s a result of decades of development, research and advancements in the feel of screenwriting. After a modest start, the school started to attract global stars at the beginning of the 1970s and they never looked back. What makes their program special is the notion that a screenwriter has to know how to work with actors. This means that you will get a lot of practical experience from working with students from other departments. The program is fun, interactive and gives you everything you need to be a successful screenwriter or even a playwright. In India, there is a saying – “If you went to FTII, you’re guaranteed a place in Bollywood”. While this may not be literally true, many of the alumni have went on to become the cream of the crop in India’s movie scene. The school was initially founded by the Ministry of Information and Broadcasting of the Government of India, as an effort to improve film-related education in the country. This school is also characterized by its amazing interactive program and guest speakers from all around the world. The admission is relatively easy compared to other schools on this list, making it an ideal option for all you aspiring screenwriters. Experts from around the world have lauded the originality and quality of all the courses, with a special emphasis on young and skilled professors. An added benefit is that several important film studios are actively recruiting the best students. If you think you have what it takes, you might get a job just as you finish the course. It might take a lot of hard work, but there is no reason to avoid this challenge. Picking a screenwriting academic program in Asia means picking one of the best film institutes in the world. Asian film schools have drastically improved in the last 20-30 years, with guest professors and speakers teaching students about valuable things related to the film industry. Remember – no matter which school you pick, you will be in for a shock. It takes hard work and some mental fortitude to get accustomed to life in a completely new country. The Film and Television Institute was attended by a lot of current Bollywood actors, with the Beijing Film Academy still being the main gateway to the world of Chinese film. Pick your school wisely and you will enjoy yourself like never before. Stay determined, remain resilient and there is nothing you can’t accomplish. Good luck! Robert Everett is a screenplay writer at Edu Birdie and a movie critic who has extensive knowledge about Asian and, in particular Japanese, cinematography. As a guest lecturer at many of the world’s most esteemed film schools, he presented Japanese movies as an important foundation in learning some more advanced recording techniques. Currently, Robert writes blogs and enjoys Spanish cuisine and playing the guitar in his free time.